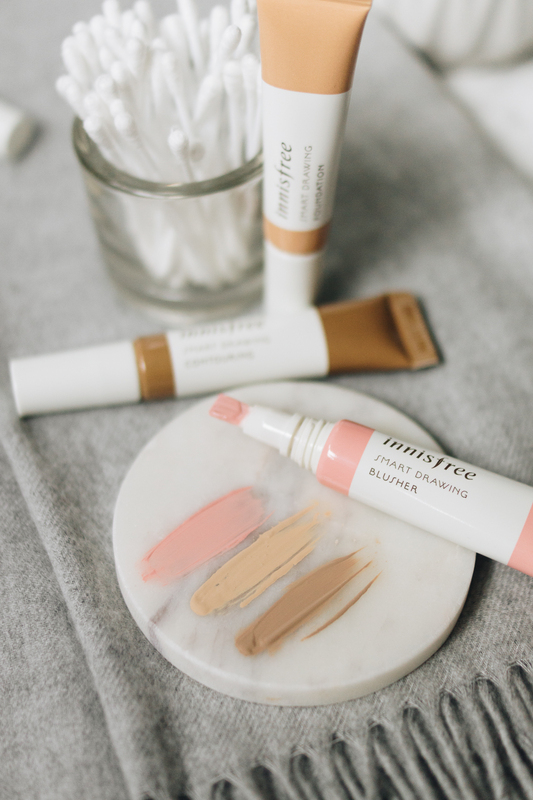 INNISFREE SMART DRAWING FOUNDATION, CONTOUR + BLUSH. Boy has it been a while since I did a proper product review. 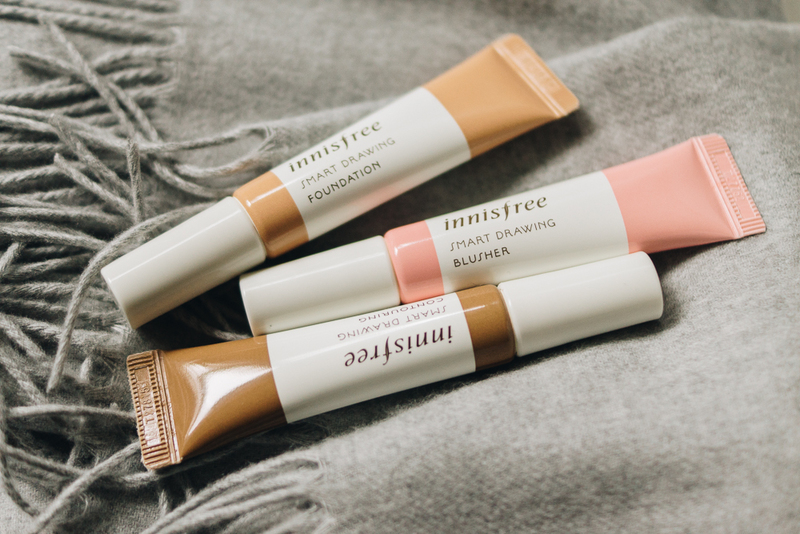 I've been using this new range of cream products from Innisfree for a little while now and I think they're worth sharing! 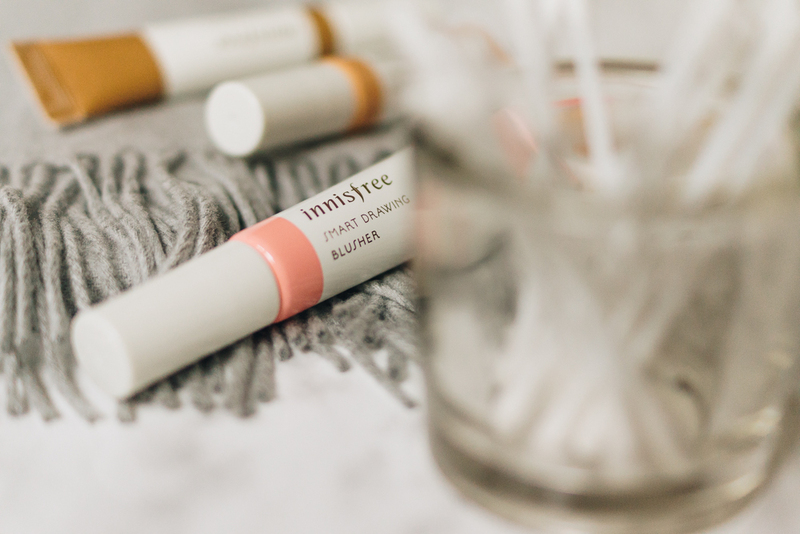 All of the products come in a 12ml squeezy tube, with a synthetic, brush-tip end and screw-on cap. Other than the brush (which I feel could get pretty unhygienic, pretty quickly if you're not careful), I love the packaging. 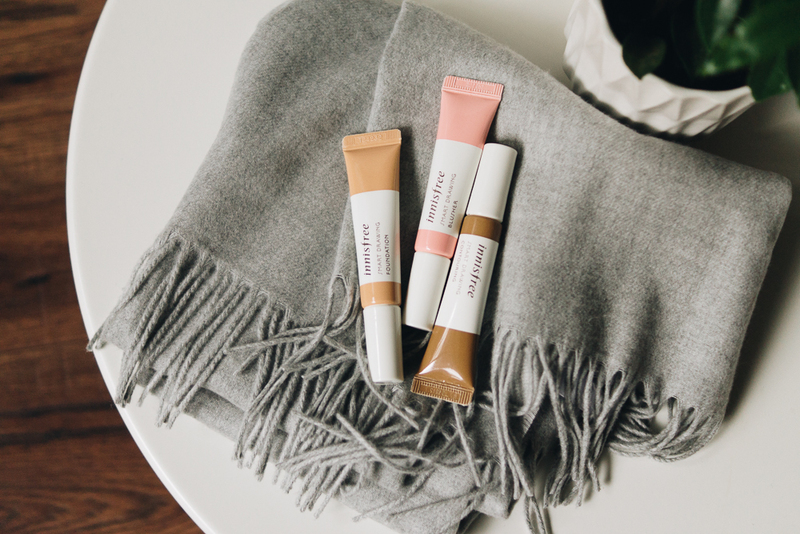 The small, compact tubes are wonderful to throw into a travel bag, or other appropriate vessel - just entirely, very travel-friendly. 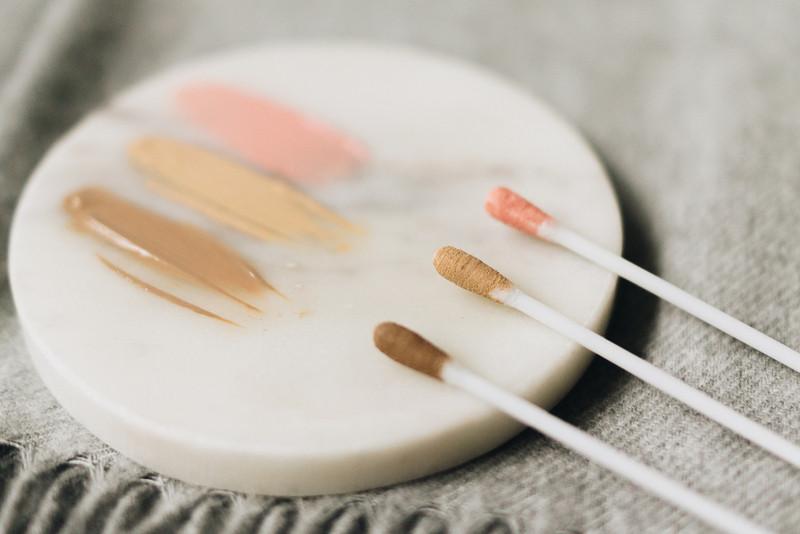 Described as a 'concealer foundation', the foundation promises to cover blemishes and brighten dull skin, whilst maintaining, a natural, satin, skin-like finish. If I start with shade range, it's not very inclusive, bluntly put. Of the 6 shades, I have Warm Beige, number 5 in line, and it's by no means dark. I've swatched a few of my other foundations alongside it to give you an idea of how relatively 'light-to-medium' I find it to be. I did however find that it oxidised just a tad, so the colours darkens just slightly. The texture and coverage, on the other hand, is much more impressive. 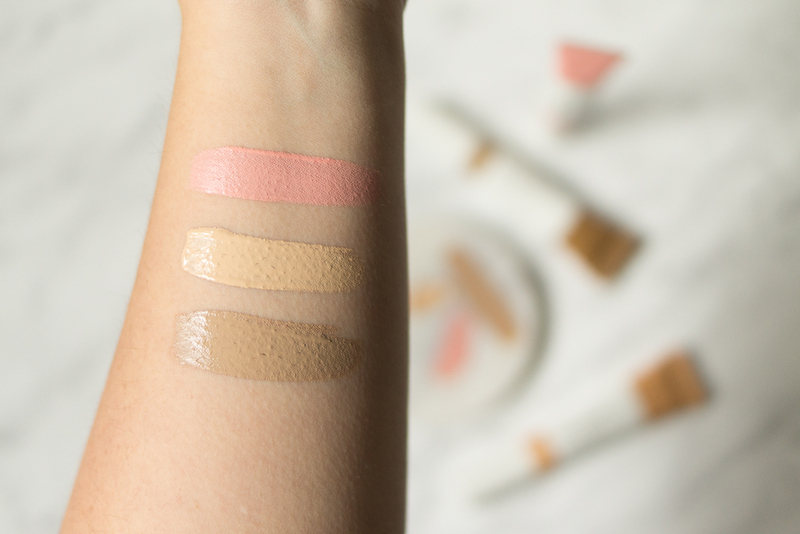 It's pigmented, lovely and creamy, and incredibly easy to sheer out, meaning you can get everything from a light to med-full coverage. I think oily skins might struggle with this one, but on a normal-combo skin like mine, it holds for a good 5 hours and fades gently, rather than patching and streaking as it wears off. I don't believe the foundation includes any SPF, which doesn't bother me, as we all ought to be wearing a dedicated sunscreen anyway! The blushes are gorgeous. Shade 1, Daisy Pink, is a light, fresh hue that I didn't think would suit my skintone, but again, like the foundations, it sheers out beautifully and keeps it colour all day. I'm rather tempted to pick up the two remaining blush shades available (a more vibrant pink, and a corallish orange) as I think they'd all be fab to mix together and custom create my own hues as the mood takes me. I wasn't overly enthralled when swatching this, as, when blended out, it looked annoyingly close to my skintone. But worn on the face, in the appropriate manner underneath the cheekbones, Shade 3, Mocha, is such a beautifully subtle shade, that gives just the right amount of shadow, and at just the right amount of warm-cool undertone. I sadly think, however, that if you're really any darker than an NC 25 or so, you'll have 'out-darked' the contour shades.. I've got to say that overall I'm very impressed with the range. Whilst the colours are a little limited, the consistency and blend rather make up for any shade shortfalls in my eyes (of course, easy for me to say when the shades happen to match me well..) There's a lovely, lightness to the texture, and the pigmentation across all of the products is so smooth and even, they're a joy to use. 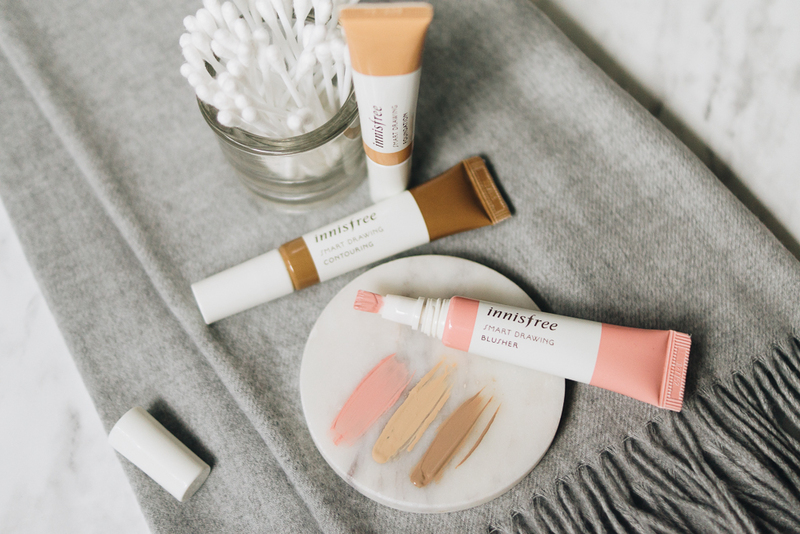 And there's a lot to be said for the travel-friendly packaging - I love the idea of having a complete face at hand in these little tubes. Have you tried any of the Smart Drawing line? These look so good, I would love to try some of these out! Definitely adding that blush to my must-try list! I've actually been eyeing these up for a while as I love the packaging of them! I think your review has convinced me to get buying them! The packaging has definitely caught my eye. I really like the sound of all three. I definitely want to give them a try! The swatches look good!